WIN International, the world’s leading association in market research and polling, has today published Part 3 of the 2018 WIN World Survey (WWS) exploring the views and beliefs of 30,890 people from 40 countries across the globe. This survey reveals alarming attitudes and behaviors in many countries. 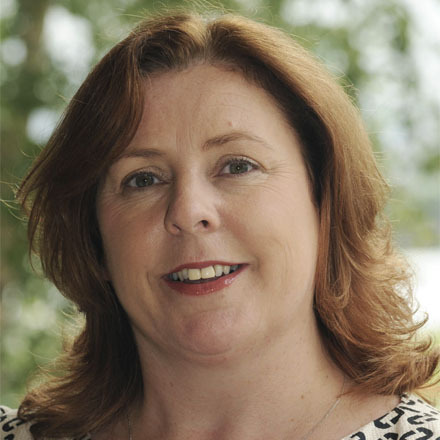 RED C Research are the Irish member of WIN International and conducted the Irish element of the research. International Women’s day is celebrated in 2019 on March the 8th. The message of the Day is that “Right now is a great and important time in history to do everything possible to help forge a more gender-balanced world. Women have come a long way, yet there’s still more to be achieved”. BUT how far have we actually come? 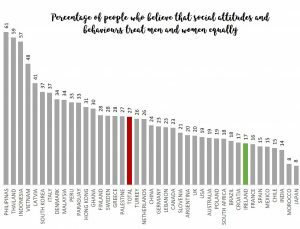 The WIN World Survey shows that only 27% of people around the world believe that social attitudes and behaviours treat men and women equally. There is a large difference in gender equality between countries. Whilst many APAC countries believe that high levels of gender equality exist (Philippines 61%, Thailand 59%, Indonesia 57%, Vietnam 48%), many countries report low levels of gender equality (Japan 8%, India 14%, Chile 15%, Mexico 15%, Spain 15%, France at 16% and Ireland at 17% with Croatia). Sexual harassment is prevalent in all countries surveyed. Younger females (18 to 34 years) are most subjected to sexual harassment (15.6%). There are alarmingly high percentage of women 18 to 34 years reporting sexual harassment in the last year with the highest incidences reported in Mexico (43%), Ireland (32%) and Australia (29%).